The Isle of Man is an independent, self-governing British Crown dependency located in the Irish Sea, approximately equidistant between Great Britain and Ireland. According to the most recent census, a population of approximately 85,000 inhabits the 227-square-mile land mass, which measures 33 miles north to south and 13 miles east to west at its extremities. The island's population is divided almost equally between those born and raised locally, and those that have relocated there. Its population enjoys a high standard of living, with average earnings in 2018 of approximately £39,500 per annum (47 per cent higher than in the United Kingdom), and until 2017 had enjoyed continuous economic growth for more than 30 consecutive years. Unemployment is very low, at less than 1 per cent, and a work permit system is in operation for non-Manx workers to control the number of foreign workers. Consultation is currently underway regarding a potential loosening of the work permit requirements in recognition of the low unemployment and need for additional skilled workers. As a Crown dependency, the Isle of Man is part of the British Commonwealth, with Her Majesty Queen Elizabeth II as head of state (Lord of Mann); she is represented on the island by the Lieutenant Governor, who is appointed by the Crown for a five-year term. The island's immigration rules are substantially the same as those of the UK, and the Isle of Man government actively encourages immigration to the island that would bring a positive contribution to economic growth. Commonwealth and European Union citizens have an automatic right to residency, and there are no restrictions on ownership of local property, so that anyone moving to the island can purchase property immediately. A number of high net worth individuals have made their home on the Isle of Man, many of them in conjunction with the relocation or establishment of their business interests; however, there is also a good cross-section of social strata with an inevitable bias towards working professionals owing to the significant size of the finance industry. As noted previously, the island is self-governing, with its parliament, Tynwald, being the oldest continuous parliament in the world. Tynwald consists of a lower house, the House of Keys, containing 24 members of the House of Keys (MHKs) elected by popular vote, and an upper house, the Legislative Council, whose members are voted in by the MHKs. Historically, members of the Legislative Council would have served as MHKs before their election; however, this practice has now changed significantly with a view to electing a Legislative Council with a wide range of experience. Party politics are almost non-existent, and MHKs are elected based on personal manifestos as opposed to party affiliations. As a result, government policy tends to be more stable, rather than suffering from the polar swings sometimes experienced by countries that are dominated by a two-party system. The Isle of Man is a common law jurisdiction, based very closely on English law, with legislation being passed by Tynwald. Acts of Parliament can be extended to the Isle of Man with the express consent of Tynwald; however, this happens rarely in practice. The legislative system is extremely stable and judges in the High Court of Justice are known locally as Deemsters, the most senior of which is the First Deemster. English case law is deemed to have persuasive authority in the Isle of Man, and the ultimate appellate court is the Judicial Committee of the Privy Council. Given the island's thriving economy, close ties to the UK and Europe, stable political system, robust legal and regulatory framework and well-established finance industry, the Isle of Man serves as a significant jurisdiction for private client matters, such as wealth structuring and succession planning. 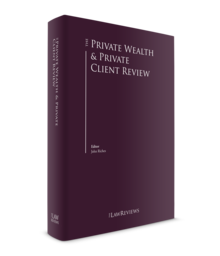 This section is not intended to provide a comprehensive overview of the Isle of Man's tax rates and practices, but instead to provide a high-level summary as context for the wealth structuring and succession planning considerations being discussed. Manx-resident individuals are subject to taxation on their worldwide income at rates of up to a maximum of 20 per cent, with generous personal allowances on which no tax is paid. Couples may elect for joint taxation, which results in a doubling of tax allowances and income bands above which the 20 per cent rate of taxation applies. Non-residents with income from a Manx source are liable to tax at 20 per cent on the income, with no personal allowance. It is possible for a Manx resident to elect to cap their total income tax liability at £125,000 per annum for a five-year period. This figure is doubled for couples who have elected for the joint basis of taxation. Most companies in the Isle of Man are subject to corporation tax at the rate of zero per cent. There are exceptions for licensed banks and local retail businesses with a taxable profit above £500,000, both of which are taxed at a rate of 10 per cent, and for income derived from Isle of Man land and property, which is taxed at 20 per cent. Value added tax (VAT), currently at the rate of 20 per cent, applies to the supply of most goods and services in the Isle of Man through a system that is substantially the same as that in the United Kingdom, albeit that it is administered separately by the Isle of Man's Customs and Excise Division. The island is treated as part of the United Kingdom and European Union for customs, excise and VAT purposes under its Customs and Excise Agreement with the United Kingdom. The Isle of Man does not impose taxation on capital gains, nor is there any inheritance tax, wealth tax or stamp duties. The Isle of Man has an extensive network of double taxation agreements and, as a responsible and forward-thinking international financial centre, it is also party to many tax information exchange agreements. There is no withholding tax on payments of interest or dividends from the Isle of Man, and no transfer pricing legislation. The island's tax system is highly conducive to entrepreneurs, with the absence of taxes such as corporation tax, capital gains tax and stamp duty, which can be a drain on working capital. The favourable regime for entrepreneurs is further aided by the individual tax cap, which means that shareholders may extract profits from their business by means of dividends while still limiting their overall tax liability to just £125,000. The favourable corporation tax regime makes the Isle of Man a location of choice for international holding structures since it offers tax neutrality without the need for reliance on specific relieving provisions, such as the substantial shareholding exemptions on the receipt of dividends. This tax neutrality, combined with the stability of both corporate and tax legislation, is a significant factor in the use of Isle of Man companies for holdings on the UK's alternative investment market (AIM), with the Isle of Man being a jurisdiction of choice for incorporation outside the United Kingdom for AIM-listed companies. This is of significant value to entrepreneurs since it provides a ready-made route to market in the event that there is a need for raising capital, or indeed for the ultimate exit from a business through a public offering. A further benefit to international business operations is the flexibility permitted in cross-border transactions. The absence of transfer pricing legislation and controlled foreign company rules means that, while business structures and interactions must reflect the true economic structure and commercial reality (as is required, for example, under the Organisation for Economic Co-operation and Development (OECD)'s Base Erosion and Profit Shifting framework), it is possible for international businesses to arrange their internal affairs with relative freedom without the need to consider artificial tax constraints, which can be the unintended consequence of such legislation. As in English law, Manx law has no forced heirship provisions, allowing complete freedom of testamentary disposition. Assets subject to Manx inheritance laws are the worldwide assets of any Manx-domiciled individual, or the Manx situated immovable assets of a deceased person wherever that person is domiciled. The impact of inheritance laws in countries other than where an individual resides, whether by reason of domicile or situs of assets, is often overlooked during succession planning and can result in unexpected estate taxes, transfers of assets to parties other than those intended to benefit, or lengthy and costly legal proceedings to finalise the administration of the estate. Succession planning structures should, therefore, be considered not just as a tax mitigation tool, but as a means of ensuring the transfer of wealth following an individual's death in accordance with the wishes that they have expressed during their lifetime. The administration of an estate takes different legal forms depending on whether the individual died testate or intestate, although there are very few differences in practice. In cases where a person dies leaving a valid will, the executor appointed in the will is required to obtain a grant of probate through the Isle of Man courts. Having obtained probate, the executor will be in a position to dispose of the assets in line with the deceased person's wishes, subject to holding valid probate for any jurisdictions outside the Isle of Man in which there is immovable property. Where a person dies intestate, or where an executor is unwilling or unable to act, it will be necessary to obtain a grant of letters of administration to deal with the estate. In such circumstances, the administrator of the estate receives his or her powers through the grant itself, which will permit him or her to deal with the deceased's estate under the laws of intestacy in the absence of a will, or in line with the deceased's wishes where a will existed but no valid executor was appointed. Although testamentary freedom is provided for within Manx legislation, safeguards exist for dependants who may apply to the Isle of Man Courts under the Inheritance (Provision for Family and Dependants) Act 1982 if the disposition of the estate 'is not such as to make reasonable financial provision'. In very simple terms, applications under the Act may be made by any spouse, former spouse who remains unmarried, child or person who was being maintained by the deceased prior to their death. Executors of the estate must, therefore, have regard for making appropriate provision for dependants from the estate to avoid potentially costly court proceedings. Where the estate of the deceased includes assets outside the Isle of Man, freedom of testamentary disposition will apply automatically only to the movable property of the testator. Disposition of immovable property usually devolves to the laws in the country in which the property is situated, and care must therefore be exercised to ensure that appropriate provision is made for wills in each country in which immovable property is located. Professional advice will be required in this complex area to avoid conflict between wills in different jurisdictions, or to avoid partial intestacy or even revocation of an Isle of Man will as a result of conflict between poorly drafted documents. To avoid potential pitfalls or inadvertently becoming subject to forced heirship rules for non-Isle of Man situs property, many individuals will undertake succession planning through the establishment of appropriate vehicles, typically in the form of a trust for their heirs and dependants. Such planning can also have the added advantage of ensuring uninterrupted access to the assets, which might not be the case in the event that probate is required for the distribution of a person's estate, especially from multiple jurisdictions. Succession planning often concentrates primarily on the transfer of assets and minimisation of taxes, but for entrepreneurs there is the additional consideration of the effect on a business's operations of the death of a majority owner. While the primary purpose of succession planning structures is usually to ensure disposition of a person's estate in line with their wishes, and with the minimum erosion of value through estate taxes permitted by law, the impact on active business structures should not be overlooked. There is often an assumption within entrepreneurial families that the family business will automatically pass within the family without interruption. This assumption will frequently be backed up by the careful drafting of wills, but this fails to take account of the practical disruption that can be faced, even where properly drafted and legally enforceable wills exist. The use of trusts as a means of providing a succession planning structure can therefore offer intangible benefits such as continuity of shareholding and avoidance of dilution of interests in the business by retaining a single shareholder (with multiple beneficial interests), as opposed to potentially increasing the number of shareholders (and correspondingly reducing the influence of each individual shareholder) following the death of a majority stakeholder. The Isle of Man has long been considered a centre of excellence for wealth structuring, offering political and legislative stability while at the same time continuing to innovate and evolve in order to remain at the forefront of the wealth structuring market. Owing to its well-established trust and company legislation, the Isle of Man is a very popular jurisdiction for wealth structuring and succession planning. In addition to companies and partnerships, which are the vehicles of choice for most business ventures, the island has very favourable and well-established legislation governing the establishment of trusts and foundations, the most commonly used wealth management vehicles. Trusts have a long history on the island and are governed by a combination of judicial precedent and statute, most notably the Trustee Act 1961, the Variation of Trusts Act 1961, the Perpetuities and Accumulations Act 1968, the Trust Act 1995 and the Trustee Act 2001. The Hague Convention on the Law Applicable to Trusts and on their Recognition 1985 was ratified by the United Kingdom on behalf of the Isle of Man in 1985, and given effect (with certain modifications and exclusions) by the Recognition of Trusts Act 1988.
keep trust investments under regular review. Trustees must formulate an investment policy, keep this policy under regular review and provide copies of the policy to investment managers or advisers if any have been appointed. In essence, the duties of the trustee can be distilled into the concept that they are the legal owners of the trust assets and must manage those assets with due care and skill, only distributing those assets in accordance with the terms of the trust. To the extent that a trustee exceeds these powers they lay themselves open to claims from the beneficiaries of the trust. The most common form of trust for wealth management is a discretionary trust, in which the trustees have absolute discretion (subject to constraints that may be contained within the trust deed) on the application of the trust assets for the benefit of any beneficiaries provided for in the deed. Trustees of a discretionary trust may receive non-binding guidance from the settlor in a 'letter of wishes', which may include items such as potential beneficiaries or the manner in which the trust assets are applied for their benefit. It is important to note, however, that in settling the assets the settlor has ceded absolute control to the trustee; hence it is important for the trust deed itself to include any restrictions or limitations that the settlor might wish to impose on the trustee's actions. A less common form of trust is the non-discretionary trust, or fixed interest trust. Such trusts will be far more prescriptive and will typically be used as a means of generational planning, where a wealthy individual wishes to pass wealth to the next generations but at a time of his or her choosing rather than automatically on death. The trust deed will often specify a particular action to be undertaken by the trustees, such as the distribution of a proportion of the trust assets to a named beneficiary on the occurrence of a certain event, for example their 25th birthday or on the occasion of their marriage. Both discretionary and non-discretionary trusts may also incorporate an 'interest in possession', granting certain beneficiaries an absolute right to the income of some or all of the trust assets, but separate from the interest in the capital of those assets that may be held for a completely different beneficiary. Such an approach is often used as a means of providing an income for the surviving spouse of a settlor during his or her lifetime, while preserving the capital for the children and grandchildren following their death. Until recently, Manx trusts had a maximum perpetuity period of 150 years; however, this has now been abolished so that the trust may have an indefinite lifespan. It is still permissible to include a perpetuity period within a trust deed, however, where the settlor wishes the trust to have a finite duration. Unlike certain countries, there is no register of trusts in the Isle of Man, nor is there a requirement for trust documents to be filed or made available for public access. This is a recognition of the right to privacy of those with an interest of the trusts, a matter of increasing importance where the knowledge of an individual's interest in substantial assets might lead to significant personal security risks. Since the enactment of the Foundation Act 2011, it has also been possible to use foundations as an alternative to trusts in the Isle of Man. Often seen as a hybrid between a trust and an incorporated company, foundations can be particularly useful for individuals residing in civil law jurisdictions in which the concept of a trust is not readily recognised. While available for use as a wealth management tool, foundations are more commonly used for philanthropic or charitable purposes owing to the fact that a foundation's rules will often be more prescriptive than a trust deed. An additional factor that lends itself to charitable and philanthropic purposes is that the administration of the foundation's assets will be undertaken by a council rather than one or more trustees, thus facilitating the involvement of a wider governing body and providing for succession and continuity of administration over prolonged periods. Where a foundation is similar to a company is in its separate legal identity that allows it to hold assets in its own name, contract with third parties and sue and be sued. Unlike a company, a foundation does not have shareholders and has no beneficial interest in its assets, which are held for a specified purpose or for the benefit of named beneficiaries. Foundations exist under their main constitutional document, the Foundation Instrument (commonly known as its 'charter'). Among other matters, this defines the purpose for which the foundation has been established, or the foundation's 'objects'. For the Instrument to be valid, the objects must be certain, reasonable and possible, while not being unlawful, contrary to public policy or immoral. The objects can be for a specified purpose or for the benefit of a person or class of persons, and are permitted, but not required, to be charitable. The foundation is managed by its council, which is similar to the board of directors of a company. The foundation council may consist of as few as a single member, with no requirement for that member to be located in the Isle of Man, and it is the council's role to administer the foundation's property and ensure that its objects are met. The foundation may or may not have an enforcer, who has a position of oversight, much like the protector of a trust. In cases where the foundation has a specified non-charitable purpose, the appointment of an enforcer is mandatory. ability for the founder to influence its operation through specific powers within the charter or by being a member of the council. In addition, foundations offer many of the benefits of a trust, such as providing certainty of succession through the exclusion of forced heirship, privacy and confidentiality in respect of the foundation's assets and objects (there being no public record of the Foundation Instrument), and the ability to add or remove beneficiaries even after establishment. The Isle of Man tax position of a Manx trust is determined not by the trust itself, but by reference to the underlying beneficiaries. Where there are no Isle of Man resident beneficiaries of the trust there is unlikely to be a liability to Isle of Man taxation; however, where there is at least one Isle of Man resident beneficiary the entirety of the trust income is potentially subject to 20 per cent income tax. The separate legal identity of a foundation means that for Isle of Man taxation purposes it is taxed as if it were a company. As previously noted, while a settlor may retain an interest in any assets contributed to a trust or foundation, control of those assets passes fully to the trustee or foundation council. The following mechanisms for maintaining a degree of control have long existed, but each has potential disadvantages for the unwary. There is significant flexibility in the form of a trust deed or foundation instrument provided it complies with relevant legislation. It is therefore possible to be extremely prescriptive in the operation of the trust or foundation in order to provide a degree of certainty to the settlor or founder. 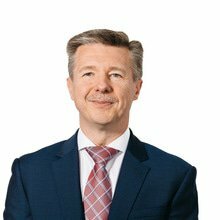 A major disadvantage of this approach is that trusts and foundations may remain in existence over lengthy periods, during which time there may be significant political, economic or familial changes that were unforeseen at the time of drafting. What may have been seen as proper or prudent provisions upon first drafting may be overly restrictive in the future, or may even have an impact that is diametrically opposed to the original intention. While it may be possible to make changes to the provisions of the trust or foundation, this can be a costly process; therefore, it is usually seen as best practice not to be overly prescriptive within the constitutional documents. Though not specifically prescribed in Manx law, it is possible to reserve powers to the trustee, settlor, protector or enforcer. Where the settlor wishes to retain control over the trust assets it is therefore possible for him or her to reserve certain powers. This is, however, not without its associated risks, as where reserved powers are extensive there is always the danger that the settlor may be seen not to have relinquished the trust assets, or that the settlor (or party to whom the powers are reserved) is acting as de facto trustee. Reserved powers should therefore be used with caution, albeit that they can be a very useful tool when used appropriately. By far the most commonly used method of a settlor retaining influence over a trust's assets is through the use of a letter of wishes. A letter of wishes is not binding on the trustees and may be revised as many times as the settlor sees fit, but it can be a useful mechanism for conveying the settlor's wishes regarding the operation of the trust without actually fettering their powers. A responsible trustee will use a letter of wishes to gain an understanding of the settlor's aims for the trust, and any guidance therein will typically be considered to be highly persuasive provided it is not contrary to the trust deed and does not unfairly disadvantage the beneficiaries. It should not be assumed, however, that a trustee will simply follow a letter of wishes without question, as they must consider any wishes expressed in the context of their duty of care to the beneficiaries. In spite of their non-binding nature, letters of wishes can be extremely useful, especially as they can include matters that might be subject to periodic revision (as a family grows, for example) or include guidance for a trustee that a settlor wishes to keep confidential, since there is no right for a beneficiary to see a copy of any letter of wishes. Another commonly used tool for a settlor to retain a degree of control is through the use of a protector. At its most basic level, the protector can simply be seen as acting in a policing capacity, ensuring that the trust is being administered correctly. In more practical terms, however, the protector can be used to validate certain matters (the making of investments, adding or removing beneficiaries, revising the terms of a trust, for example) or as an ultimate sanction by being given the right to remove and replace the trustee. The introduction of foundations from 1 January 2012 automatically improved the ability to retain influence through the ability to sit on the foundation council, where such a structure is appropriate to the aims of the planning. An equivalent structure is becoming increasingly popular for trusts with the use of the private trust company (PTC). The PTC is becoming an increasingly popular method for the settlor of a trust to influence its management. The PTC is established with the purpose of acting as trustee of the trust, and it is possible for the settlor, or a representative, to participate in its management by acting as a director of the PTC. Since the PTC has no purpose other than acting as trustee, it will typically be owned by a purpose trust, which will itself have the purpose of incorporating, promoting and maintaining the PTC and hence have no beneficiaries of its own. The PTC can also be an extremely useful tool in assisting generational planning by permitting adult children of the settlor of the trust to act as directors. In doing so this provides them with the experience of managing greater wealth than they might otherwise be used to, while still benefiting from the professional expertise and experience of the rest of the PTC's board, which will usually consist of professional fiduciaries. The provision of professional trustee services in the Isle of Man is regulated by, and requires licensing from, the Financial Services Authority, which is an independent body tasked with the oversight of the finance sector in the Isle of Man. The Isle of Man takes its responsibility for Anti Money Laundering and Countering the Financing of Terrorism very seriously, and has extensive rules and regulations in force. It is fully compliant with the requirements of the US Foreign Account Tax Compliance Act, and as an early adopter of the Common Reporting Standard (CRS), it is committed to the automatic exchange of information between competent authorities, with its first exchange of financial account information under CRS completed in September 2017. As a result of these regulatory controls and the Isle of Man's cooperative approach to tax transparency, it is on the OECD tax transparency whitelist. The island has also received favourable reports from the Financial Actions Task Force, the International Monetary Fund and the European Union Code of Conduct Group, confirming that it has met its international obligations. In light of the Isle of Man's early move towards greater tax transparency and encouragement of structuring that reflects substance in the Isle of Man, it is no surprise that it continues to be a jurisdiction of choice for fiduciary services. Concerns around less well-regulated jurisdictions in connection with wealth structuring and tax planning have resulted in a flight to quality towards the Isle of Man and similar jurisdictions such as the Channel Islands. Further cooperation between the Isle of Man's government and international bodies to tackle unacceptable tax practices and money laundering activities (in both offshore and onshore jurisdictions) will further enhance the island's reputation and should be a source of comfort to high net worth individuals who choose to undertake their structuring in the Isle of Man. Challenges remain, however, in managing the increasing calls for the removal of privacy and confidentiality in the belief that this will reduce secrecy and tax avoidance. The Isle of Man's government has already implemented robust systems to identify the ultimate beneficial owners of assets located in, or managed from, the Isle of Man, and has effective mechanisms for the disclosure of this information to interested parties such as the tax authorities of other countries. The continued erosion of personal rights to confidentiality, which results from the introduction of public registers of beneficial ownership, places residents of some countries at unacceptable risk (from kidnap, extortion or even state-sponsored seizure) without actually adding anything to the exchange of tax information that is already possible. Indeed, it could be argued that, were the well-regulated jurisdictions to simply accept the public disclosure of beneficial ownership, it would result in less transparency owing to the fact that there would be a move to jurisdictions who not only have no procedures to be able to identify the beneficial owners of companies and assets but actually encourage secrecy. The Isle of Man government's commitment to responsible international wealth structuring means that it engages in open and transparent dialogue with governments and international bodies such as the OECD, with a view to formulating and implementing policies and practices that tackle unacceptable financial activities. Uncertainty and an increasing rate of change are major challenges facing any private client in the current economic and political climate. Choosing a stable, reputable and well-regulated jurisdiction for wealth structuring activities is the prudent choice, and in this regard the Isle of Man ranks as one of the leading international financial centres, meriting a place on the shortlist of anyone undertaking wealth structuring activities. 1 Craig Brown is the managing director of First Names Group in the Isle of Man.